Luke has been with us since March 2013. 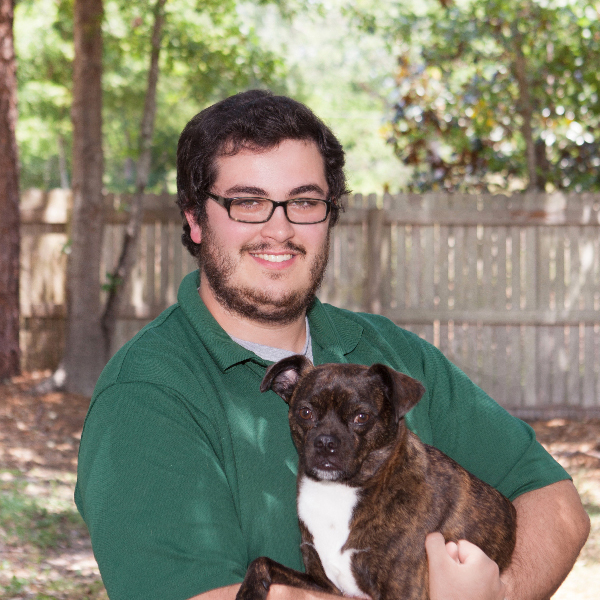 Luke originally started as a caregiver and worked his way up to manager. Luke is recently married and has one dog (Iroh) and a feline (Winston). You will probably get to meet Iroh on days Luke works reception! He graduated from Flagler College with his bachelor’s in psychology and is a 10th generation Floridian.